Play backgammon online against other real players, friends and family. Or find a new opponent in one of our match making parlours. At SimplyBG there are no time limits for your matches. All games and matches are saved automatically so you can continue a match whenever you're online. SimplyBG will play anywhere, on your laptop, tablet or mobile phone. Player ratings supported using the ELO rating system. Double-cube and Crawford Rule are supported. Matches can be watched live by others, or played privately if you choose. Support for Money Play Rules, Nackgammon, Longgammon and Hypergammon. No APP needed. SimplyBG is a Web-Application. What this means is that you can play backgammon from anywhere without the need of installing an app. SimplyBG works on all devices, as long as you have a connection to the Internet. All devices includes iPhone and Android mobile phones. There are no downloads. There is nothing to install. Mobile devices have built-in web-browsers. For example, the built-in web-browser on Android is the Google-Chrome browser. Using the mobile device built-in web-browser, access SimplyBG at http://www.simplybg.com You will be pleasantly surprised to see SimplyBG loads and works as desired. SimplyBG will identify that you are running from a mobile device and it will adapt to fit your screen. SimplyBG works without downloads. No download means no risk of computer-viruses or compromised information. And with nothing to download, your SimplyBG account is always available to you, wherever you are. Once you are registered, creating a new match is simple. Go to the Open Play Parlour to find a new opponent. Invite a friend to play using the Invitation Manager tool. Play backgammon from any device, supports all desktops, tablets, handhelds, or any device that can access the Internet using a web-browser. Play from your iPad, Microsoft Edge/Surface, Kindle Fire, iPhone, Android, laptop, Windows, Linux, Safari, Google Chrome, Firefox, Internet Explorer, and 100s of others. Registration is safe and private and comes with a free subscription to get you started. SimplyBG has subscription based memberships to keep our online play venue respectful safe and exclusive. We hope you join us. Registration is free. Affordable membership packages. There are no software installation requirements, no downloads, no plugins. 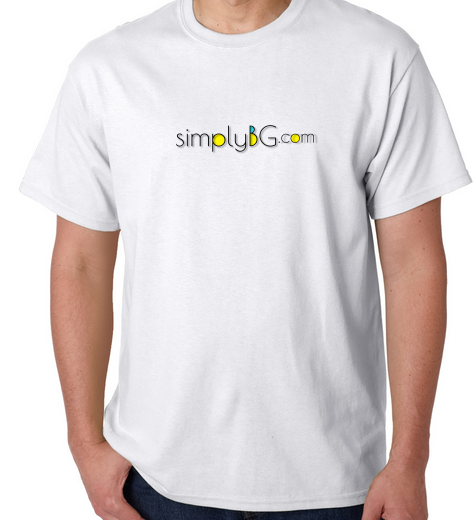 SimplyBG.com is compatible with all devices, laptops, desktops, tablets and mobile devices. Visit the Open Play Parlour to find an opponent currently connected to SimplyBG.com. Use the Invitation Manager tool to invite others to come play here. See a full list of our backgammon features. See a quick overview of backgammon rules. Can you spare a few moments to take a 10-question survey? Take the "Players Profile" survey.